Probable cause exists if, at the time of filing a contest, the facts known to the contestant would cause a reasonable person to believe that there is a reasonable likelihood that the requested relief will be granted after an opportunity for further investigation or discovery of the facts. An example would be if somebody were trying to enforce it will or trust that was clearly forged or was signed by somebody who had medically proven Alzheimer’s disease and was thus incompetent. Under the old law, the grounds are similar but the old law allowed the filing of a declaratory relief petition to get a judge to rule on whether the proposed contest would violate the no contest law. This was found to be too cumbersome and was eliminated in the new law. The will or trust involved must be carefully reviewed and other factors considered as well to determine if you have probable cause to file a court petition which would otherwise violate the no contest clause. The lawyers involved generally have to study the documents and the laws to try to predict possible outcomes. Basically, filing any court petition which seek to revoke or make invalid a will or trust containing a no contest clause must be considered risky and dangerous and must be very carefully handled. Filing a court petition which violates the no contest clause or defending against such a petition can involve very expensive and lengthy court litigation. 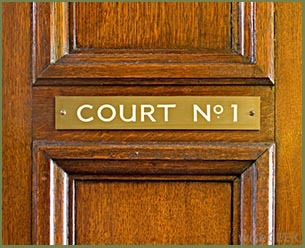 Not only is a contest a court pleading that tries to revoke or invalidate a will or trust but it also includes challenges to certain property transfers if expressly barred by the no contest clause and also filing or prosecution of creditors claims if expressly barred by the no contest clause. Thus, the wording of the no contest clause is a starting point to see what sort of court actions it covers. In preparing wills and trusts, it is legal to have no contest clauses apply to some beneficiaries and not to others. Thus, if there is a person that the maker of the will or trust feels is likely to challenge, then the no contest clause can be tailored specifically for that person. Also, some common sense can be applied so that instead of just leaving one dollar to a disfavored person, leave a larger amount so that they will think twice about filing a petition that would invoke the no contest clause. If an heir or beneficiary is left a minimal amount of money or not left anything at all, then the no contest clause doesn’t really give them any incentive to not file a petition to change the situation. Put another way, since they’re getting nothing, they have nothing to lose by filing. Actually they do have something to lose because in some instances the losing party in a no contest action could be forced to pay the court costs and attorney’s fees of the trust or will representative who is defending against the action. There are rules known as statutes of limitation which prevent the filing of contests to wills and trust after a certain time periods have elapsed. Different time limits apply in different circumstances. For example, a petition for revocation of probate must be filed within 20 days of a will being admitted to probate. 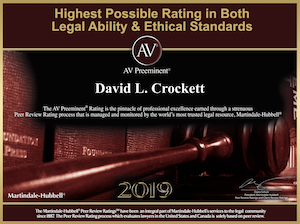 The time to contest a trust may be as short as 120 days, depending upon what sort of legal notices were sent out when the trust became permanent. From the standpoint of trust and probate administration, it is important to get things filed with the court and/or send out timely notices so that these time deadlines begin running. Sometimes people don’t bother with the trust administration rules and notifications and an unhappy result can be that years down the road somebody can file a contest because nothing was done to cut off. There are other limitations of time which applies well so it is essential to retain a skilled professional to go over everything if you think there is any likelihood that a no contest clause will come into effect or if the will or trust can somehow be declared invalid.